Soška Yelena vytvořená podle předlohy figurální řady the Fantasy Figure Gallery Series vycházející z grafického návrhu Luise Royo je vysoká cca 54 cm s detailním zpracováním. Born of ritual, imbued with the steely, cool beauty of the wolf and the ethereal magic of a fairy, Yelena enchants the hearts of kings and here comes the next installation in the Fantasy Figure Gallery, Ritual. Inspired by the work of internationally acclaimed fantasy artist Luis Royo, this astounding 1/4 scale RESIN statue from a sculpt by master Shin Tanabe (Black Tinkerbell) stands approximately 54cm (22”) tall including a specially designed display base. From its dramatic pose to its life-like features to the free flow of its garments, every turn of this meticulously crafted piece will amaze with exceptional detail. Even more stunning is the intricate paint detail including multiple tattoos and see-through application to capture the translucency of her sheer garments as they cling to her supple form. And what lies underneath… well, discover for yourself with the figure s specially designed cast-off feature. 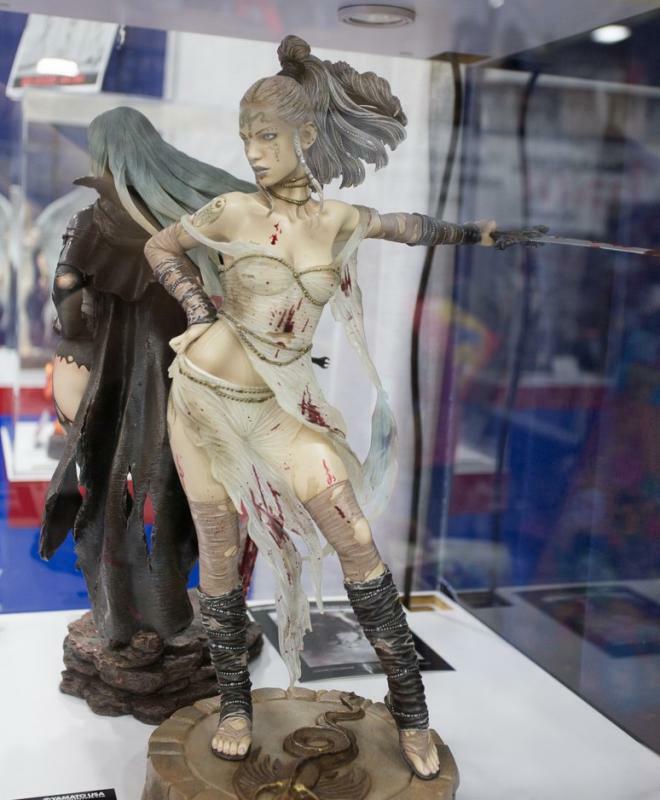 This first edition of the Fantasy Figure Gallery: Ritual (Luis Royo) comes complete with numbered display base, art card, and certificate of authenticity is a commoners alike; but only one can tame her.